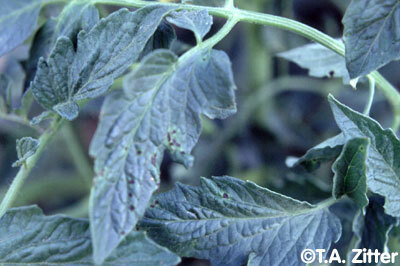 Bacterial speck, caused by Pseudomonas syringae pv. 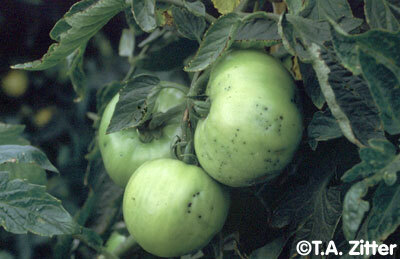 tomato, produces small speck-like lesions on leaves and fruit. Mature lesions of bacterial speck may have a discrete yellow halo.